We've all seen some sort of videogame marketing ploy that makes us do a double-take. I'm not talking about a bad trailer, or a questionable design decision. These are marketing events, promotions, or presentations that make you wonder if anyone behind them has any idea what they're doing. These eight examples demonstrate exactly how you shouldn't approach videogame marketing. Think we missed one? Tell us what it is in the comments! In the run-up to the launch of Resident Evil 6, Capcom decided they needed to get into the public eye in East London. To do this, they opened the "Wesker & Son Human Butchery." The shop invited customers to purchase a variety of meats. The catch was all of the meat was shaped to resemble human body parts. 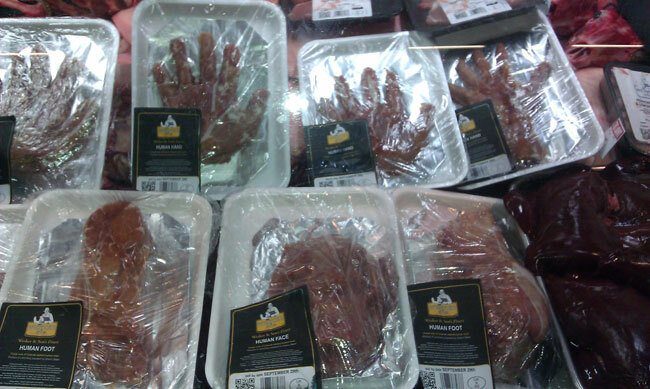 Human hands, feet, and faces were on display, and although they quickly stated that the meat was not actually human, there's no denying what a bad idea this was.